LT Ryan Haag is an Information Warfare Officer. After graduating from the University of Michigan, he served onboard the USS Hampton (SSN-767) as the Electrical Officer and Assistant Weapons Officer, at U.S. Second Fleet as a TLAM Senior Mission Planner and Flag Aide. After obtaining a lateral transfer, he is now serving at NIOC Georgia as the Air Operations Officer. When he’s not at work, he’s probably at home with his wife and three children, or out in the woods hunting with his dog Riley. His personal blog can be found here. It nearly causes me to shudder, because it’s something with which I cannot identify. During my first leadership class (affectionately called Leader-sleep by its unwilling students), our instructors told us to not worry about running our divisions, because our Chief would “take care of it,” take us under his wing, and in general look after us until we got oriented to being in the Navy. So I reported to my submarine and did just that…and spent my first 3 months in three different maintenance critiques because my Chief nearly killed 6 sailors when he wrote bad tagouts and didn’t follow proper procedures, all of which I hadn’t caught because I had blindly trusted him. Needless to say, I grew really cynical really fast, and quickly acquired a lot of attention to detail. I wish I hadn’t been as naive as an Ensign, and I wish that my instructors had given me a dose of reality before showing up to my first command. In contrast to my Commanding Officer’s speech, I am a product of bad Chiefs. Bad Chiefs have caused me to learn the nuts and bolts of Navy maintenance, because I didn’t trust my Chief to do things correctly. Bad Chiefs made me learn how to conduct a real training program, because their idea of training the division was to brief to an outdated PowerPoint, when my Sailors deserved better. Bad Chiefs made me learn how to write evaluations, because apparently English is a second language for nuclear ratings. – Your Chief should tell you about everything happening in your division. He should trust that you won’t immediately “freak out” when bad things happen, since you need to learn how to constructively work through day to day problems in your division. The only way you can learn is if your Chief teaches you why he does things a certain way. If your Chief just “takes care of it” and gives you no other details, you lose that opportunity for him to mentor you. – Your Chief should want you to be a subject matter expert in all things related to your division. That means if you’re the Electrical Officer, get ready to put your hands in a turbine generator and replace light bulbs throughout the ship. You need to ask questions about the maintenance and operations that your division performs, and your Chief should readily answer these questions (after all, he already is the subject matter expert). One big advantage is that as you pursue your warfare pin, you’ll see how your division fits into the bigger Navy picture. You’ll also learn how to digest large quantities of technical information quickly, which will help you in later jobs. – Your Chief should connect you with other Chiefs in the command. The Chief’s Mess is a powerful organization at most commands, and can quickly get a lot of things done, but junior officers can’t effectively tap into the Mess without their Division Chief. Your Chief should help you understand how the Mess works, how to get things done at your command, and how to best utilize Chiefs from other divisions throughout your command. – Your Chief, although respectful, should be brutally honest with you, and you in turn need to listen with an open mind. The Navy hasn’t embraced 360 degree evaluations, and it’s doubtful that your FITREP is going to list anything bad. Unless you really mess up, I doubt that you’ll even get negative feedback from your Department Head. But your Chief will instantly pick up on your weak areas, and not only should he tell you about them, he should help you fix them. That brutal honesty will help you stamp out weak areas early, when your Sailors will chalk up your mistakes to your relative newness to the Navy, instead of having those areas hinder you later as a Lieutenant (or worse, get you fired as a Commanding Officer). The Division Officer/Division Chief is the best team out there that the Navy has: two people, about the same age, with vastly different backgrounds, expectations, and experiences, leading a division of Sailors. The core concept is that each person offsets the other’s weaknesses. While the Chief has the experience to run the division, the officer is going to translate the Commanding Officer’s intentions into something actionable. The officer will bring in new ideas, but the Chief will keep them grounded in reality. It’s a program that has worked for decades. The Division Officer/Division Chief team is complementary, not competitive. It’s not a line drawn in the sand, dividing two people who have different roles. It’s more like working with a good friend on a long term project (like a classic car restoration), where both of you have similar skills, but each of you has his or her own way of doing things. When your relationship with your Division Chief feels like that, you’ll be well on your way to doing great things with your division. Very good post. I am the product of some very good Chief Petty Officers. I can spot a good Chief a mile away (almost). I can spot a bad Chief from even farther away. Most of us learn to differentiate between the two in a nanosecond with some experience under out belts. I remember our bad Chief on USS Blue Ridge who took his division officer down the bad path for more than a year. The Chief thought taking care of Sailors meant allowing them to gun-deck their correspondence courses, falsify muster logs, take advancement exams drunk and share his prostitutes with them. It took the DIVO a long while to catch on but she finally did. She went on to great success. The Chief did not. Unfortunately, some of his Sailors were unrecoverable after ‘enjoying’ his leadership. JOs: Don’t blindly follow your Chief. But, once you have a good one you’ll NEVER forget him or her and neither will your Sailors. It’s unfortunate LT Hagg had to write this post from his perspective as “a product of bad Chiefs,” but let’s face it, there are bad apples in every bunch, even if we don’t often admit it. We are each the product of good and bad leaders at every level. I had a terrible LPO my first tour at NSGA Galeta Island, but I learned a lot about how not to lead from him. I had bad a particularly bad CO at one command, and I learned how not to treat people from him. At that same command, I had a craptacular DivO, and I learned leadership how-not-to from him as well. And yes, I had some less than stellar Chiefs along the way, and from them I learned other lessons. We all want great leaders all the time, but that’s not reality, so doing as LT Hagg seems to have done – learn from the bad ones – is the only right choice we have. And I wish LT Hagg had examples of good Chiefs worth sharing…I trust he’s had good Chiefs at some point in his career. LT Hagg made many very good points and provides some good advice for JOs. 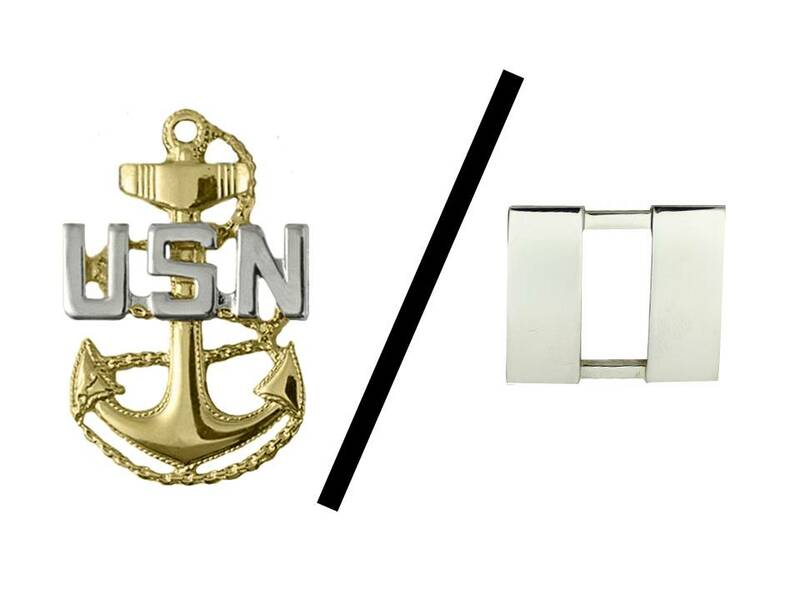 He hit on one of the problems facing our enlisted ranks – not just the CPO Mess – and that is accelerated advancement (although I don’t necessarily agree that a JO stepping in for a 6-year CPO makes a huge difference when the typical Ensign or LTjg has even less experience, but I digress). I’ve trained 6-year Chief Selects and seen some become very fine Chief Petty Officers, but there is no better teacher than experience, and 6-years of it isn’t enough. Simply put, we need realistic minimum Time-in-Service requirements. Another problem is our bloated awards system which tends to reward all service, not just the truly exceptional. Far too often, Sailors at all ranks are given EOT awards for basically doing their job, nothing necessarily commendable about it. I’m not sure how we got here, but for comparison, look at the first MCPON, Delbert Black, and the current MCPON, Mike Stevens. MCPON Black was the first enlisted man awarded the Navy Distinguished Service Medal, but that was his first and only personal decoration in spite of surviving Pearl Harbor and earning multiple service ribbons for WWII, Korea, and Vietnam. In contrast, MCPON Stevens has 17 personal decorations, and he’ll likely also be awarded a DSM at the end of his tour. Heck, even I had nine times as many as MCPON Black (and that doesn’t count a couple literally lost in the mail). (I only used MCPONs Black and Stevens for comparison. They both had obviously stellar careers and many superb achievements, so this is not a criticism of MCPON Stevens but of the awards system). We simply award too many personal decorations. Over awarding means each one means less, which results in recommendations for higher medals to set a Sailor apart. Personal records are differentiated not by what medals were awarded but by which were not. Getting an EOT Navy Commendation is not unique; it’s the Sailor that didn’t get one that sets them apart from the crowd. Some communities are worse than others, and I would say we’re among the worst. Ok, enough rant. I could go on, but BZ to LT Hagg for getting his thoughts on paper and to CDR Heritage for providing him a venue to start a debate. without a medal for just breathing. Do not get me going on awards for people for doing their job, or less. Thank you for this post. As a newly inducted CPO about to go back to sea as an LCPO for the first time, it is nice to see the expectations of the Chief/DIVO relationship from the other side of the fence. Just like in the wardroom, in the Mess you can draw a line down the middle and divide the good and bad into two distinct categories. There is no magic pill to being a good Chief just like the only way to be a good Naval Officer is hard work and common sense. For those of us who have had the pleasure to serve in both amazing groups, (as CAPT Lambert said) you can spot a bad CPO a mile away; as well as a good one. These are the same binoculars that allow a good CPO to spot poor officers and command leaders OTH. Finally, don’t let the seniority of a CPO fool you into thinking they are ready or not. I know plenty at 7-8 that were and a ton at 18 that weren’t. Great post and comments LT Haag. Your thoughts are right on point in many areas. I do have to ask you to think about something though regarding this particular post. You said upfront that you could not relate to any positive guidance from your Chiefs in the past. I understand the point you were making and hopefully you are indeed are referring to your past experiences as your post seems to indicate. I know there are amazing Chiefs at NIOC Georgia, and if you have been there for some time, I sincerely hope you feel like you and your fellow Officers are receiving good Chief guidance there. I don’t mean to pick, and I certainly do not think you intended to include most “present company” :), but I do recommend that you look hard around you at your present command and think about your experiences there so you can hopefully pass on any positive experiences you have had. I assure you that excellent Chief guidance is there. I am here for you anytime as well as my brothers and sisters in the mess world-wide. Believe me sir, I still learn every day and many times I unfortunately learn the hard way (I am a bit “Ready, Fire, Aim” sometimes..) and make plenty of mistakes, even at my advanced age, but it is starting to seem consistent throughout the Navy to continuously point out problems in the mess in my opinion. Much of the criticism levied at the mess is warranted, but I think we need to open the aperture a bit and understand that there are many issues that need to be addressed at all of our levels of leadership. For example, one of the most common critiques I hear from very junior, bright-eyed and motivated Junior Officers is many of their senior Officers do not spend enough quality training time with them. This is their opinion of course and I can see where that may or may not actually be true. But, this is a perception I have seen recently. The Wardroom has a huge part to play in training JOs how to function in the Wardroom and how to perform as a Navy Officer. I don’t think there is a conscious effort of the Wardroom to not be engaged in training JOs, I think the long training pipelines and large amount of quals required of Officers can really put a crimp on the ability to spend quality sit down time with Juniors. This coupled with the extreme amount of responsibility we place on our Officers definitely makes it difficult from what I have seen to have a lot of quality sit down time with our new Officers. My main point in bringing this issue to the forum is the mess is here to help and train JOs but part of JO training in my view is owned by the Officers. This sounds very contrary to our CPO training but think about it, these JOs rely and learn from their Chiefs, but they want to be like YOU. These are not my words, I heard this repeated recently from some very motivated, sharp and hungry JO IDW Warriors. I am lucky to serve with such dedicated folks. This post is not in any way meant to be defensive or meant to poke anyone in the eye, I just think that we really need to keep these conversations going, continually focus on the bigger picture and bring in more recommendations and talk to improve our game in all leadership ranks. Thanks for the great post and conversation. These are the frank, respectful discussions we need to have to be better. Of course, these opinions are mine only. As a served ENG on an SSN, I am cringing at the LT’s description of his E Div LCPO. Shame on the EDMC and the ENG on that ship. The junior JO normally gets E Div, so a weak ELCPO combined with that green ENS is a major hazard. I would have broken with tradition in this case and assigned the new JO to a different nuc division and put a more seasoned JO in E Div. In the meantime, some aggressive mentoring by the EDMC, close monitoring by me, and “help” from the Squadron Electrician would have been in order. Doing awards properly is essential. The worst thing you can ever do is reward mediocrity, or issue awards by “policy” rather than merit. It’s unjust and a massive demotivator to the blueshirts (woops, antiquated term) / white hats who you can bet know the truth. And I agree, experience is key. Having seen chiefs fail and chiefs succeed, I would say it is damned hard to succeed as a CPO afloat if you haven’t helped run a division as an E-6 afloat first. That’s why most CPOs who put on khaki early/fast struggle. Not saying it’s impossible, but it takes a special kind of person to get it done, and usually a nudge now and then from an alert Department Head. My first Chief, Chief “Batterin’ Bob” Lake, was an 18 year E-7 who was crusty and tough and very smart. As a nuc ET, he pulled no punches, had no illusions about ever making E-8, could troubleshoot anything, and could get the engineroom back up faster than any other EWS. Great guy to learn from, and always going out of his way to show me how the gear worked and how the guys did their jobs. I had a couple of Chiefs work for me later in life who were not at that level. The SME part is important. At NIOC Maryland I hear all the time Chiefs talk about “Leadership” or “Navy responsibilities” as distinct from “Mission” or “Operations.” No, sorry. As a CPO, you need to LEAD IN MISSION, and that IS your Navy responsibility. “Ask the Chief” didn’t come from “How do I fill out my PTS form?” It came from, “Chief, I can’t break this union to fix the leak. What do I do? / Chief, I tweaked the band-pass filter and I still can’t break out the signal. What do I do? / Chief, we’re stuck troubleshooting this circuit, what next?” It’s all about technical competence. If you don’t have it as a CPO, shame on you and shame on the guy who gave you an EP as an E-6 just because you had been at the command a while. You were never really ready to make Chief. End of rant… great discussion started here. Thanks for posting your thoughts sir. I too shuddered when I read the words “product of bad Chiefs” but it is real and I commend you for it. Having served aboard ship in a division which had almost no Chiefs and what E6’s we had were going through induction I lived through the chaos at the E5 and below level. I also saw the JO’s who panicked at the slightest malfunction which might make them look bad with no one there to calm them down and take charge. Good and bad people are at every level, it is our job to know our people (most especially the Chief’s need to know who can be counted on). Sometimes you have to work around the bad (not too easy on a Submarine). This stresses to me the importance of the selection process. We have to be honest in our evaluations of sailors, letting those looking at packages know whether this person is ready (or not) to EVER make Chief. We stress we want all our people promoted but that promote everyone mindset has to stop at E6. It must, national security is at stake. Where there are people involved there will be mistakes, God help us make less of them. First, thank you all for your comments. I’ll admit, I was hesitant to use “a product of bad chiefs,” because it is quite negative at first glance. However, my experiences were more of a “trial by fire,” and while it’s made me more cynical, it’s also made me smarter and much more adaptable to any situation. And yes, there are good and bad folks everywhere, a fact that cuts across ranks and rates. -Officer training: I agree that we don’t do enough, and our CO has directly addressed that. I think the big reason we don’t have more mentorship and help is time. The Navy wastes a massive amount of officer’s (and all sailors) time. We spend time on mandatory GMT, time rerouting paperwork for reasons that aren’t errors, time in mandatory meetings that don’t product decisions…and it adds up quickly. My department head never stops working, and I know he stays as late (and in many cases later) at work than I do. At some point, he would like to see his family. Where exactly can he pull time from? Every minute he spends with me is one less doing admin or some other function that he’ll have to make up elsewhere. To me, the crime is that these requirements come from a well meaning but overbearing Navy bureaucracy that doesn’t see the price it costs our people. -Technical expertise. While the administration is important, it’s not taught to JOs, and this inexperience causes it to take too much of their time. That time is better spent on technical training. How is it that our leadership classes waste weeks of time, when they could teach JOs how to deal with daily issues, such as EVAL writing or using Intelink to share information. Both problems come from spending time on what is best described as administrative overhead. Once we start addressing the time crunch, we’ll likely see improvements in training and expertise. LT Haag, I think you are right on with some of your comments. I too remember the good Chiefs and the bad ones, and learned a lot from both. Same with the wardroom. I hope that as you go forward in your career, you will find more of the good ones – the really good ones want you to succeed and will be pleased when you do. If, however, you find more that disappoint you, don’t be afraid to pull them aside and tell them what you’re thinking. I’d be willing to bet that most of our Mess will be happy to listen and correct course. Great article, I commend you for choosing your words carefully and going for it! I agree 100%, I am a product of great chiefs growing up but while in command I had to change my perspective because of “bad chiefs”. It is unfortunate that negative examples often affect the reputation and trust of a group, I still have trust in the Chief’s Mess but now I had to change my motto from “trust but verify” to “verify then trust”. Just as CAPT Lambert mentioned, we should not blindly trust a Chief simply due to previous reputation of the mess. The manner in which Chiefs were trained in the past has significantly changed, and their age and mature is also a critical factor. We now have more 5-7 year Chiefs than a decade ago where Chiefs were selected at 10-12 year instead. This gap is clear and reflected in your experiences among many other officers. Bottom line, this is a new Navy and we must learn to adapt old adages no longer apply. I respectfully must disagree with your comments. I still believe in trust first. If I had this attitude, I would look at my senior Officers, Commanding Officers, CMCs in the same light you now look at the mess, with the high profile misdeeds being reported. I do not , I assume they the Navy knew what they were doing when they promoted these Sailors and I immediately accord them the respect and trust they earned. There has been a lot of commentary lately about “bad Chiefs” including Captain Lambert’s recent article. Many of the issues brought up are factual and need to be addressed. Additionally, I do believe the Officer Corps really needs to also take a hard look at their training processes. There are so many JOs that I see that become discouraged because they can’t seem to get time from their Seniors or get a good feeling that they feel like they are going to receive good training and be valued members of the team. This is purely anecdotal but I have seen enough of this in my career that I am concerned. Thankfully, at my command, the JO training program is really improving. Some hard charging Officers with steerage from our triad are really putting together some great mentorship and training improvements. I really think that we should trust the US Navy and the process of CPO selection and assume Chiefs are competent and worthy of your trust. If you see otherwise, bring it up with the Chief or the CMC. Lets work together on this. Finally, I really would love to see hard data to back up the claim that younger Chiefs are not as skilled as those who were selected later. I hear these comments thrown around a lot but I have yet to witness junior Chiefs under-performing their peers on any kind of consistent basis. I will restate what I said before, new Junior Officers ARE NOT equals to their Chiefs. Mustangs are not Equal to their Chiefs either because they are starting at the same level as JOs regarding performance as a Division Officer and an Officer in their new designator. This is not to say that Chiefs look down their nose at JOs, rather, we all have different roles to play and working properly in those roles is a good thing and does not make one person “better” than the other. Also, please note that new CPO training emphasizes health, safe PT, leadership training, controlled stress, constant mentorship and fair treatment. Back in the day, we all know that there was some mighty good training, but there were also things we needed to get rid of. I think if you have issues with Chiefs you work with, talk to the CMC and the Wardroom and lets work together to come up with solutions. I know this works because I have been apart of such meetings, sometimes with issues that I have caused and behavior I needed to change or encourage fellow Chiefs to change. Keep up the good discussion. It is really great to be able to air out these issues in a professional forum. Aloha and have a great Navy Week! Maybe you used the term “equal” for lack of a better term. If you are referring to experience then there are many times when they have the same or more experience than their chiefs. Excellent point. I mean equal with regards to job responsibilities and experience in the Navy. I certainly don’t mean equal on any other level. I agree there are times when JOs have more experience than Chiefs, but, when one is commissioned as a brand new Officer, they are not in any way equal in terms of experience or the leadership roles they are expected to learn. My point is, everyone has their role and we all need to understand that, so we can function more efficiently as a Navy. I completely understand that brand new Officers may have a ton more experience and skill than I do on many topics. However, when they are brand new DIVOs, it is the mess and the wardroom who have the experience and skills needed to train our new JOs. Aloha and great comment! You are right, they are not equal. Bottom line, the JO you reference is the one ultimately responsible. The DH and CO aren’t coming to the DIVCHIEF, but the DIVO to answer the mail. The person who ensures the JO can “answer the mail” is the Chief. The DH, XO and CO know this and hold the Chief accountable for the DIVO’s performance. Thanks for keeping the conversation alive. Maybe on point one, definitely not on point two. Early advancement of Sailors to Chief before they have more experience is causing a lot of problems in the enlisted ranks. Lately, we’ve seen far too many senior enlisted personnel removed from their positions due to what boils down to lack of maturity for the position. This “accelerated” advancement “phenomenon” has also led to over inflated evals to promote people ahead of their peers, a loss of focus on the core mission (too much focus on what collateral duties or types of community service or degree(s) that will get you promoted), and is essentially killing the enlisted community since it is boiling down to politics and not actual experience and honestly evaluated job performance. For some ratings, it is worse than others. For some communities (i.e. FTS) what can only be described as over advancement is the norm. I’m willing to bet that some of LT’s bad chief experiences were from kids who were promotes ahead of their peers before their time and had no real idea of how to lead since the NKO CPO course didn’t teach thme it (reminiscent of JO in a box). If only all JOs had your attitude. I put my career on the line for one particular JO who refused to be taught. The best words I heard were, (after being dismissed from the CO’s stateroom) “Lt, the next time your Chief tells you how to do something, you had better GD well listen to him!” The Lt and I never spoke of it again but from then on, he listened and I instructed when necessary. He turned out to be an exceptional Commanding Officer. I forgot to say, I took full responsibility for performing and act that I knew would fail, (from experience), because the LT would not listen to reason and experience that caused us to miss an underway. I told the CO I had briefed the LT with the procedure we followed. A good read, and a hard read as well. As a Chief, even a retired one, it caused me to look back and ask myself “Did I do the best I could by my Div-O?” As an HMC, more times than not our “JO’s” are LCDRs and LT’s that are Doctors. They’re analytical by nature and in some cases they really don’t want to get involved in the day to day running of the Medical Dept. They’re the SME’s when they walk into Sick Bay but rely heavily on us for the administrative and logistical matters. They may go on to command a clinic or hospital but see things from a unique persepctive. Our role as “The Chief” remains the same, and it’s something I always say to new Chief’s when I’m asked for advice. “Do the right thing, even if it costs you some skin and even if it puts directly at odds with the Officer that signs your eval. In the long run your best evaluation are the Sailors and Officers in your Div/Dept” The best officers I ever served with, Staff or Line, many who are still friends in retirement, were the ones that were just as honest with me as I was with them. Mission first, Sailors always. I’m VERY thankful I wasn’t a Chief at the 7 or even 10/11 year mark. I wasn’t even close to being mature enough to carry those anchors.